Sometimes I just need to get stuff done. And sometimes it feels impossible with our super, super busy toddler. She is crazy busy. And a crazy Momma’s Girl. When she started getting busy I started trying to come up with stuff to keep her busy while I worked. I pretty much fell in love with everything sensory. The Dollar Store and any type of dollar bins became my best friend. 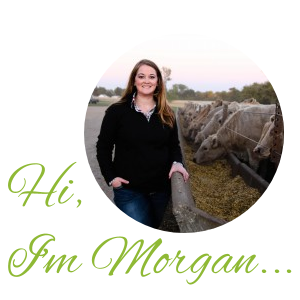 So, today I want to share some of those sensory bins and why I love them so much. They are also pretty inexpensive. I get my supplies mainly in dollar bins and then I also gather things up from around the house. I am pretty good at keeping toys back and then pulling them out for tough days. Another thing I love about sensory bins is I feel they inspire more creativity than just simply piling her toy room with more and more toys. Sensory bins start with, you guessed it, a bin. My hubby and I built a sensory table, which you can see in the last picture. We have now added a shelf underneath it and a brace for support. But, it works great and we both love it! But, you can really get by with only a bin. Then next you need a filler. Then you need items to add to the filler. 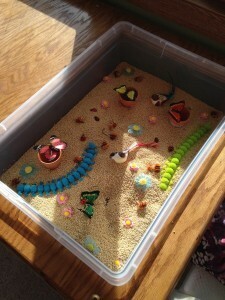 This sensory bin is filled with millet seed. This was a favorite for awhile. So, it stayed in the bins for nearly a month and I just changed out the items that I added to the millet seed. I picked up the millet seed at our local co-op, but you can really get it anywhere that sells bird seed. This bin was a Spring theme. I used flowers, butterflies, and mini flower pots. And then Ellie added her rubber caterpillars. This bin was actually an Easter bin. You can see the bunnies and eggs in the white sand. 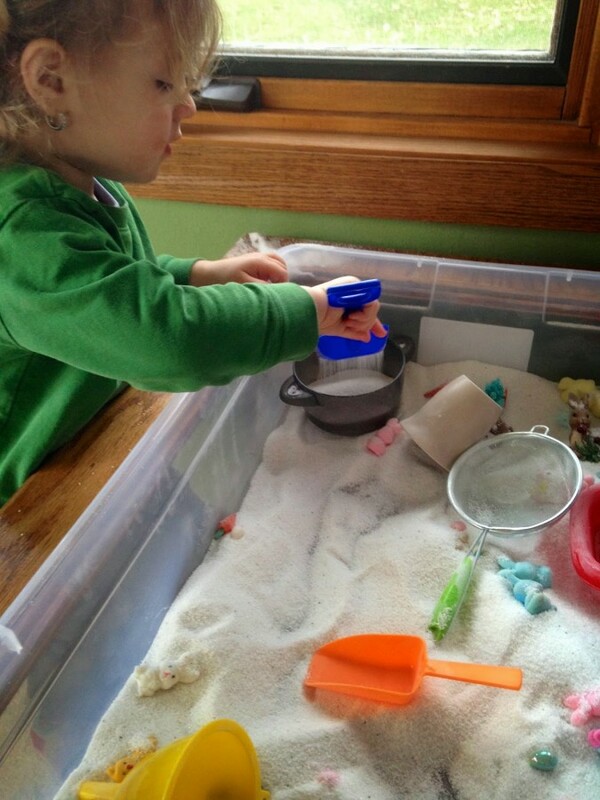 I added some of our dry sand toys and then a couple of pots from our play kitchen. Another winner. But, a messy one. Be warned sand gets everywhere. Actually any filler really does, even the millet from above. This was another favorite. Our Valentine’s bin. Lots of red and pink. 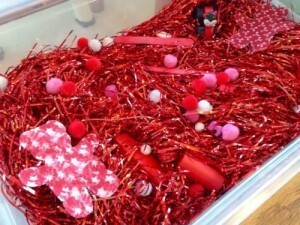 I used popsicle sticks, pom poms, red blocks, and some dye cuts of teddy bears. I used some grassy stuff for the filler. It was fun to dig and see how many things we could find! 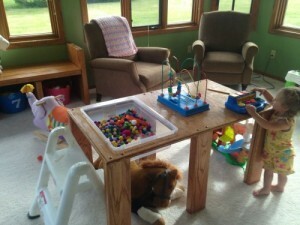 This is simply a shot of the sensory table. The filler in there is really just pom poms and that’s it. My girl loves pom poms. Sometimes I will add just a certain amount of a toy or craft and let her play with that. For example, a few weeks ago we had our Annual BBQ, we normally have anywhere from 40 to 60 people and tons of kids! I was a bit worried because it was raining in the morning so I was trying to prepare if we moved all those people into our house. 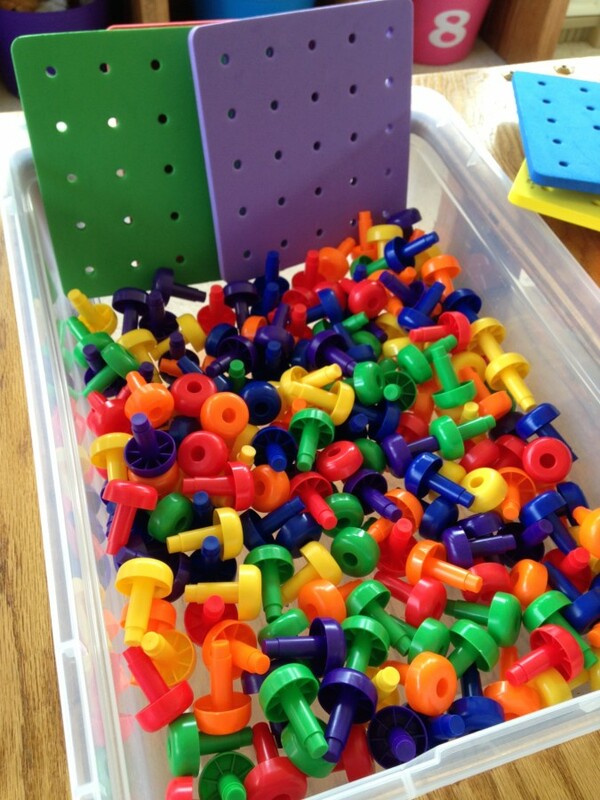 So, I added pegs and peg boards to the sensory bin. This was something everyone could play with, and more importantly not messy. Now these are a bit pricier than my dollar bin stuff, but they are from Oriental Trading Company. Another really great place to buy sensory, but when you buy from them you tend to buy a lot of one item. So, find someone with young kids to split with, that’s what I did. Worked perfectly! Sensory bins are perfect for keeping little ones busy and I love that as our daughter grows the bins can grow with her. Plus, it’s a really great place to contain things like pegs and peg boards, or other toys that have tons of pieces. And if you are looking for more sensory ideas hop over to my blog, I love posting my sensory table ideas.